The U.S. military is working on new "smart armour." And state-controlled China Central Television recently covered the gear by passing off fan-made Halo battlewear as U.S. military concepts. This is not a joke. The program was New Defence Observations, a military show (read: propaganda), on Channel 7. On the October 19 episode, which is recently causing a stir in China, a segment talked about the "smart amour." New Defence Observations is hosted by Li Li, a professor at PLA National Defence University who serves in the Chinese military and is listed as a "Military Questions Expert" on this government-sponsored television show. Here, the upper corner reads: "U.S. Military Concept Armour" (美军装甲衣概念图). "If this armour was made for units or small groups it could be done," said the show's host, "but it would be too expensive for mass roll-out." "It's unknown how effective such armour would be in actual combat in protecting the soldier," the professor added. "We will have to wait and see." Wait several hundred years until the 26th century when Halo is set? This is not U.S. Military concept armour! This is fan-made Halo armour, created for a fan film by the 405th, a Halo prop builder and costume community. Online in China, the screw-up is causing the inevitable eye-rolling among many Chinese net users. 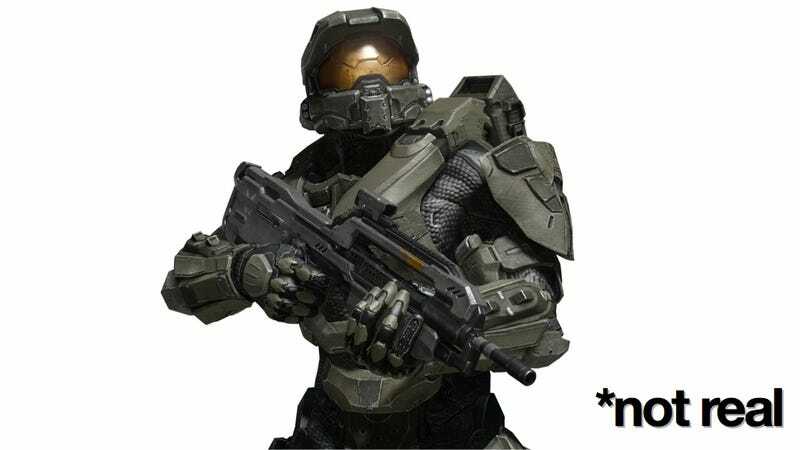 One Sina Weibo user wrote, "Master Chief! How did you end up on CCTV? And you also joined the US Army..." Another added, "Watching CCTV doesn't seem to enhance my IQ." Others also pointed out that this was Halo and not the U.S. Military. Maybe the show's producers thought they could pull a fast one in a country where game consoles have been banned? Maybe this was an honest screw up? But this kind of thing is par for the course for the country's propaganda machine: Earlier this year, a Chinese newspaper confused a DeviantArt creation with the Japanese military, and this summer, Battlestar Galactica was confused with a futuristic aircraft carrier.